Opening a restaurant is a very tedious process. So you need to make sure that you will be organized when it comes to planning everything that can affect the sustainability and profitability of the business. Aside from the meal options that you will provide to your target market, you also have to ensure that proper marketing, branding, and advertising activities are planned-out in a timely and realistic manner. 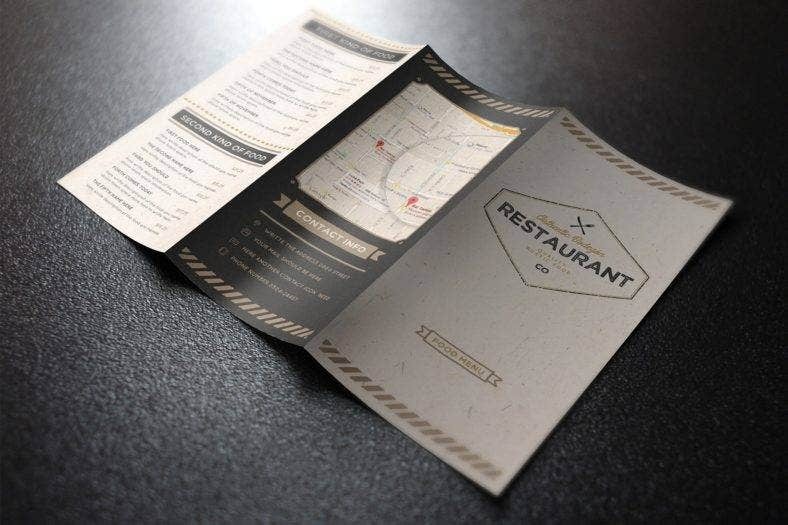 One of the items that you need to focus on during the final stages of restaurant planning is your menu card. Menu cards are mostly used to accurately list information about the food selection that a particular restaurant offers to its customers. Your restaurant business should fully maximize the usages of a menu card so it can work to your advantage. Have a specific listing of your menu items. Make sure that you will properly categorize your food offerings so that customers can select their food choices in an organized manner. It will be best if you will develop a menu layout that is organized in a logical order or based on the meal groups where customers identify the food that they will eat (e.g. appetizers, main course, dessert, etc.). Incorporate the prices of your restaurant’s dishes. May it be a small restaurant menu or a luxurious dining menu, the proper evaluation of the prices of your food offers is very important as it can affect the decision of your customers when it comes to patronizing your products. Always keep in mind that pricing is key when it comes to attracting your customers through a beautiful restaurant menu. Ever heard of psychological pricing? This process makes customers think that they are mostly benefiting from your offers based on the value that they get in relation to the price of your products and/or services. The most common psychological pricing method is by ending the price of your items with the number 9. As an example, 19.99 seems to cost less compared to 20.00, right? Keep in mind that this technique is most effective in low to medium-priced restaurants as food prices are commonly not issues for high-end restaurant businesses. Develop the layout and format of the menu. It will depend on you whether you will hire a graphic designer who specializes in making restaurant menus or not. Another option that you can select is to use a template and be guided accordingly while making the restaurant menu design of your business. The layout and format of your menu will serve as the foundation of the entire tool as it is where the cohesion of all the menu items will depend. It will also vary on your decision if you will already place images that will serve as the design of your menu or if you will do it once all the details of the dishes are already present. Place the information that you have drafted in the final menu layout. Once you have already selected the final layout and format to use, it is now time to place all the information of the dishes that you will offer to your customers. Your creative restaurant menu design should have spaces where you can easily identify the proper placement of various details including images, titles, and descriptions. Proofread and review the entire menu. Your restaurant menu should be checked first once all the items are already put together. All the information and design present in a restaurant menu must undergo the process of evaluation before mass producing the tool. Proofreading the grammar of the descriptions as well as the spelling of the dish names and the like are essential steps to ensure that the restaurant menu is done accordingly. 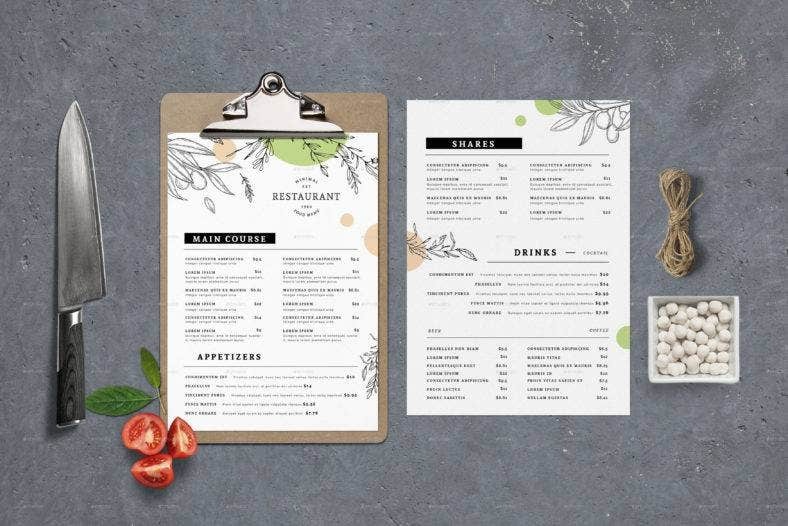 Once you are already aware of the steps on how to create a menu card, the next thing to do is to familiarize yourself with a few helpful tips that can make the process of creating a restaurant menu template more enjoyable and fruitful at the same time. Listed below are some of the guidelines and tips that you may incorporate in the process of creating a menu card. Raw ingredients, resources, and menu options shall be identified first before making a restaurant menu. You need to ensure that you have a full grip on the materials that you will work on so to not disappoint your target market. Restaurant menu items should be well thought of and achievable. You should always be realistic when it comes to creating a restaurant menu. The dishes that you will place in your menu should have raw ingredients that are accessible and easily available. More so, you need to make sure that you have the appropriate equipment and tools that can help you create the dishes that you will offer. Always think of your target customers. Success in the restaurant business is not only achieved through the ideals of the owner and the management but also on the consideration of the needs and wants of the customers. Always relate your products and services to the demands of your prospective market. Identify the brand of the business. 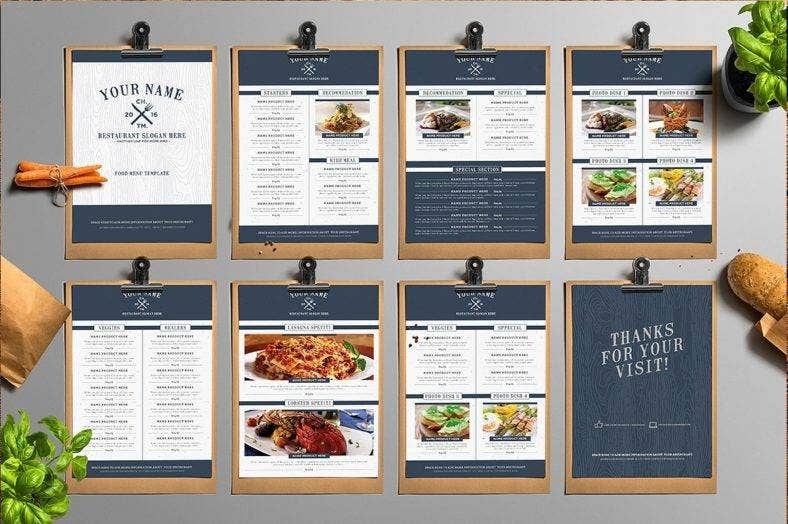 Your restaurant’s brand should be visible in the printable menu template that you will use. As a marketing tool, your menu should be able to provide the message that your restaurant would like to deliver to its customers. Necessary changes, may it be on food offerings or pricing, should be reflected in a restaurant menu. Always update your customers about menu or price changes. You can include notes in your existing menu, or create a new one just to avoid misunderstandings. A menu card or menu list can provide a lot of positive effects on a restaurant business if used the right way. Make sure that you will back yourself up with information on how to properly create a menu card so you can benefit from its usage. When creating a menu card, the minute details and the entirety of the menu composition should all be taken into consideration as these can affect how the customers of the business will look not only on the menu but also on the restaurant’s identity. Your menu card is a part of the dining experience of your customers—to make your menu count.